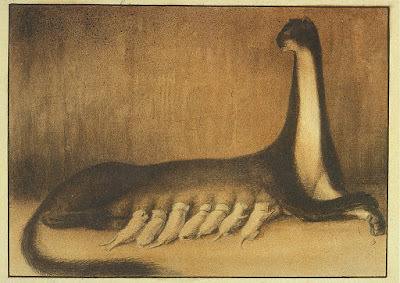 The painting borrows a buttocks formation from Mordor V and transforms it into a woman's elegant behind, it borrows the dark sausage like formation that travels out of the Bishop's squid like body and into the behind of the woman. 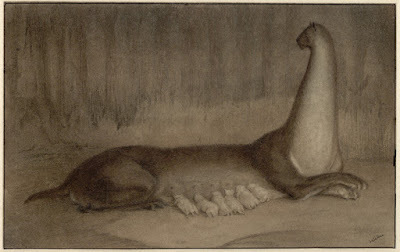 It borrows the horns of the buttocks face from that painting and inserts one into the side of the head at the top, It borrows the central orifice from which a sausage is either falling or entering and makes it into the mouth of that face. 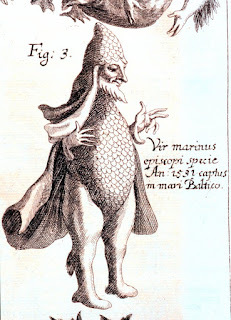 Is the being with a mitre on its head a Bishop Fish? 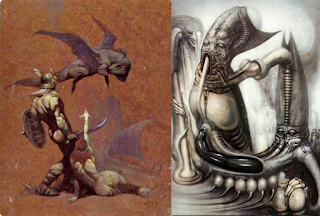 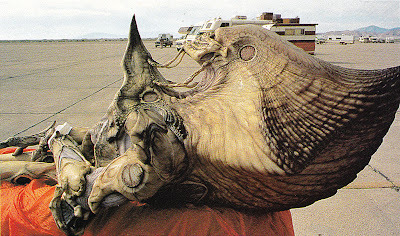 The two main figures are two various of Giger interpretations of Nommo although is a mutant humanoid wearing a bishops hat, perhaps the body is also inspired by a seal and the other is a monstrous face with fins perhaps with a tentacle around its throat being constricted. 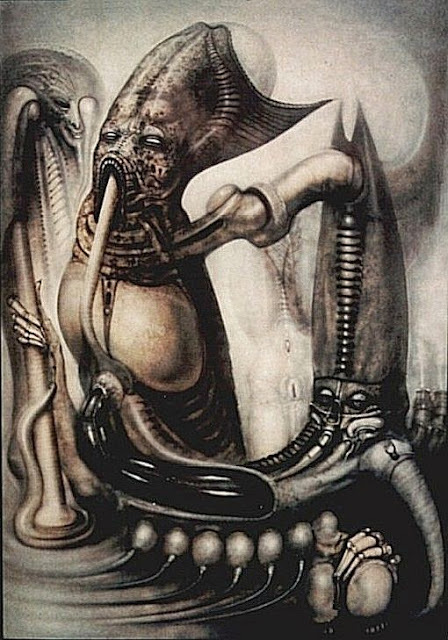 e) See: Gleeson's The Nerve Garden (1946) inspired Giger's Mordor VI ? 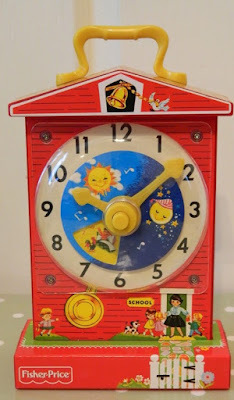 I have decided, having noticed in some of the Mordor series some months ago, an unspecific element connecting with the idea of horology, and heavenly bodies travelling around the clockface, I suddenly realised that it ought to be due to Giger must have had an interest in the Fisher Price Music Box Teaching Clock. 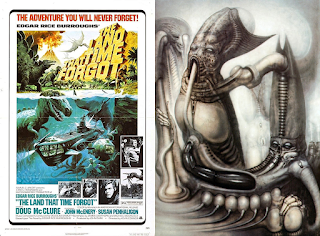 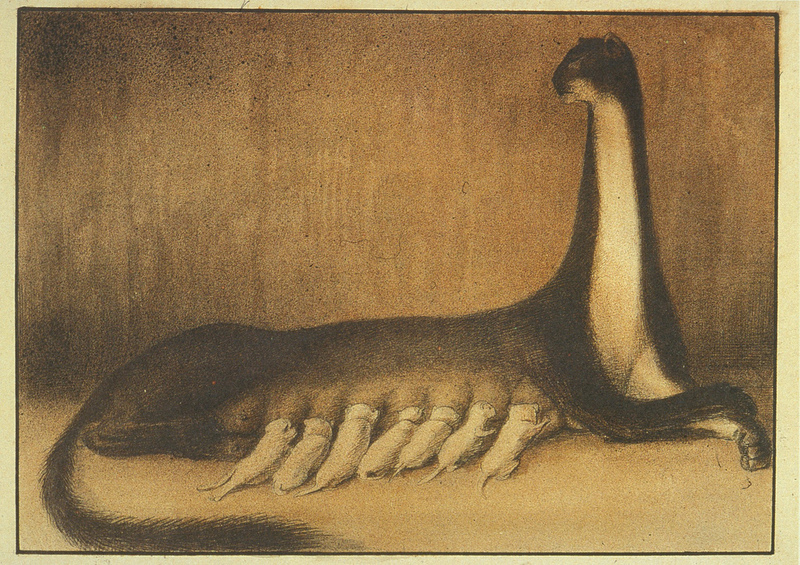 g) See:HR Giger's Mordor VI (1975) references poster for The Land That Time Forgot? 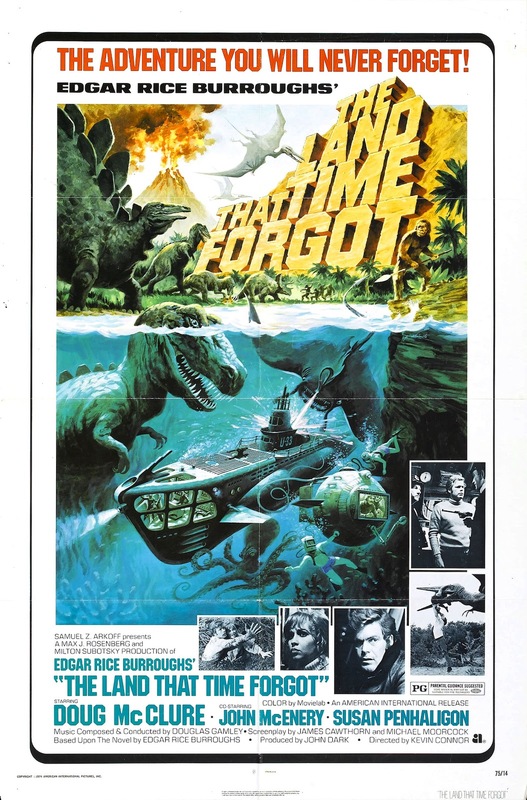 h) See: Mordor VI (1975) references poster for The Land That Time Forgot?